Get yourselves ready for another following spree. In this day and age where internet plays a significant role in our daily lives, you can pretty much ID a person based on the people he's following on his social media accounts. Now, we've already given you a list of awesome local bloggers to follow on Instagram, but if you're still craving for an international flavor to spice up your feed, we have exactly what you need. Quench your thirst for more sartorial inspirations with our next roundup of must-follow fashion bloggers. This time, we go beyond the local bloggersphere to give you double tap-worthy photo grids from all over the world wide web. 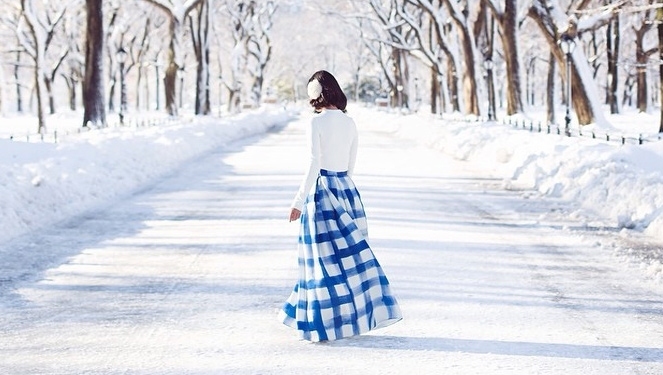 Scroll down and see the list of international style bloggers that we've cherry-picked for you. Chiara Ferragni doesn't call herself The Blonde Salad for no reason. Even her Instagram feed stays true to her blog's name. There are literally all sorts of things you can expect from this girl's posts, including fashion, beauty, food, and even cute little dogs. Nicole Warne, the blogger behind Gary Pepper, will make you double tap in a heartbeat with her magical and dreamy photographs. On her feed you can expect snippets of her breath-taking editorials shot for the likes of Marc Jacobs, Lancome, and Louis Vuitton. Her blog's name is Sea Of Shoes and if that's not enough motivation for you to follow this redhead beauty, then we don't know what is. Seriously, don't even think of branding yourself a shoeholic if you don't even know the name Jane Aldridge. Tuula Vintage's Jessica Stein will bring you closer to nature via her Instagram feed filled with beautiful sunsets and crystal clear beaches. You can travel the world with this blonde boho gal with just one click on that follow button. If normcore is your thing, then you'll definitely fall in love with Vanessa Hong and her pursuit for all things haute. 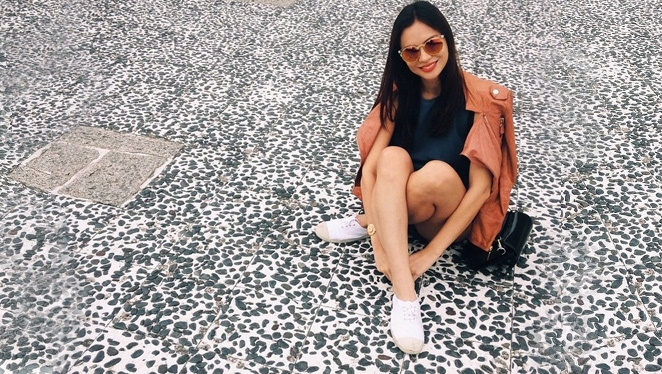 Just like her sense of style, this girl's grid is minimalist, crisp, and clean. Kristina Bazan of Switzerland's "most influential" blog Kayture can go from chic to edgy, laid-back to high fashion. Constantly traveling around the world, click on that follow button and watch this girl explore the world in her Jimmy Choos. With less than 2 million Instagram followers already under her belt, don't be the last one to discover Aimee Song's stylish adventures and yummy food snaps. In between Paris photographs and Chanel bags, dig deeper into the stylish life of Fashiontoast's Rumi Neely as she shares her cheesy moments and candid whatnots via her Instagram feed. Visit Wendy Nguyen's fashion diary aka lookbook on her Instagram account and fall in love with her chic street style and picture-perfect #OOTDs. And oh, it comes with random #foodstagram posts, too! Here's another blonde who has mastered the art of scoring double taps. Blair Eadie of Atlantic Pacific is a regular in our weekly top blogger #OOTDs, and if you want to know why, hit on that follow button and see for yourself.